Our product range includes a wide range of panel air conditioners for home. 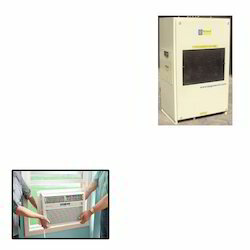 We are one of the prominent manufacturers and suppliers of Panel Air Conditioners for Home. which is further used to cool industrial process equipment. Our specializations lie in the manufacture of conditioners, vapor compression water chillers of various capacities and models. The provided products are rigorously inspected by our skilled quality auditors against different parameters of quality in order to ensure their flawlessness. Looking for Panel Air Conditioners for Home ?